Hawaiʻi Island Police have arrested the suspect in a Kona shooting incident. Kona patrol officers, acting on leads developed and tips from the community, located 41-year-old Walter Gomes III, in the Captain Cook area on Sunday afternoon, (March 31). Upon contacting Gomes, he was compliant with the officer’s verbal commands, and the officers were able to take him into custody without incident. 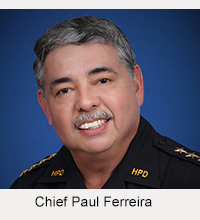 He is currently being held at the Kona Police cellblock while investigators from the Area II Criminal Investigations Division continue to compile their information stemming from the initial shooting incident, which took place near Maiau Street in Kailua-Kona on, (March 21). He has not been charged. “It is because of the police-community partnership, that we were able to successfully bring this situation to a close. 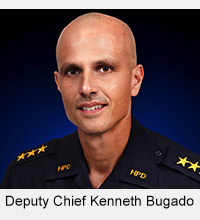 We continue to thank the community for their support and information,” said Lt. Roylen Valera.